Fethard on Sea, New Ross, County Wexford. Grangeville House is a Victorian Country residence surrounded by woodlands, peace and tranquillity. Situated on the stunning Hook Peninsula and minutes walk from the sea. Our newly refurbished accommodation has re-opened to the public. Each room is finished with great attention to detail. Old world meets Modern Comfort. Ice creams and juices are available throughout the summer to coincide with the opening of the new sun drenched patio surrounded by forest land and the peaceful sound of the Celtic Sea close by. 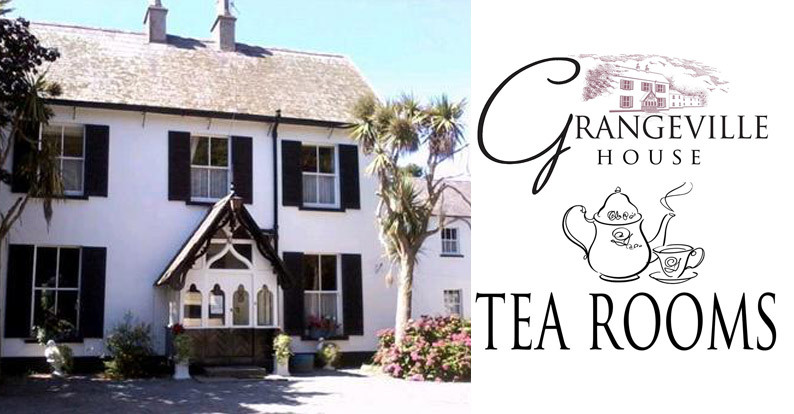 Minutes walk from Grange Strand and Fethard Village, we have a safe children’s area and a beautiful old world tearooms. A visit to Grangeville House is a great afternoon for the entire family. Built in 1857 by the Marquis of Ely, also known as Lord Loftus, for his agent Godfrey Taylor. Lord Loftus and his family lived here for four years during the rebuilding of Loftus Hall. The original flagstaff which was once used during rent collection days still remains in the field in front of the house.